However long you’ve been running your own business, growing it to the next stage can be challenging. You know you’re capable of business growth, as you’ve come this far already. It’s just a case now of deciding the next steps and putting the systems in place so that your excellent customer service doesn’t fall down during the growth phase. You’re just a bit uncertain of the next steps, as you could go in any number of directions. Which bit do you do first as everything is important? Let’s work together to get your business growing in the right way for you. There’s many ways you can get your business growth plan together, and even more ways to put it into action. What’s the right way for you? How much investment do you need to make – in yourself, your team, your systems to grow? How much extra time are you wanting to spend on this phase of growing your business? Do you have a timescale you want to achieve your business growth in? Are there any key dates you need to work with, like retail or trade shows, that will give your business growth a boost? From our free weekly business tips to one to one coaching, we have training, and support for you to help you grow your business your way. Sustainable business growth takes time, but time is the ‘thing’ most business owners say they need more of. 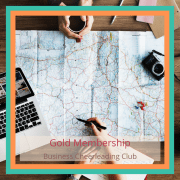 What if you had one place to go for business training, support and coaching, with resources from experts about how to do “this” and “that” in your business. You may benefit from regular support available through the Business Cheerleading Club. Learning new skills is all part of running and growing a business. From learning how to use social media to catch your customer’s attention, to learning tips for improving your business mindset, we can always learn more from others. 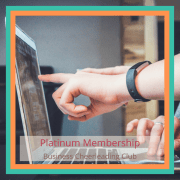 Manage Those Things run monthly workshops with experts in their field who will work with up to 30 people in an online meeting room on a particular topic useful to business owners for your business growth. All workshops are available for £29 each, live and/or recorded. 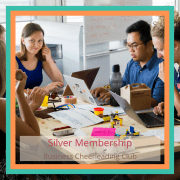 If you’re a member of the Business Cheerleading Club the expert workshops are included in your monthly subscription. Place your order using our contact form & we’ll send you an invoice. All future events, including free conversations with business experts are on our Events page.